Decompression therapy is a buzz word these days in the chiropractic profession. I have colleagues taking out mortgages to buy these units. I have spent excessive amounts of research and invested thousands of dollars to learn the secrets of Decompression therapy. When someone has a herniated disc, or Numbness or tingling in their extremities and chiropractic care is not resolving the problem who do these patients turn too? I wanted to know and I wanted to help these patients get better without surgery. I found the solution to resolving and correcting Disc Herniations. In most patients 86% of time the Disc is stronger than it was before treatment and healthier. On my website www.drshoshany.com I have all the conditions that respond to decompression therapy. I will be up front that there is a out of pocket expense, this is usually not covered by insurance but if you are about to get a surgery you will be paying more in deductible and coinsurance anyway and all this without a guarantee! I have been giving patients a money back satisfaction guarantee! 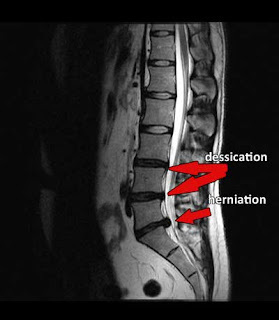 If you or a loved one is in the new York city metro area and suffering from Disc herniation and have been told there is no hope there is a Non surgical method that can correct and eliminate the problem guaranteed.